Sketches of the SP01 outdoor collection by Australian designer Tom Fereday. 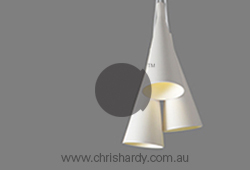 Australia has quite a small manufacturing base - particularly around the production of furniture and lighting. While Australia exports mountains of raw materials, it imports most of its consumer goods. 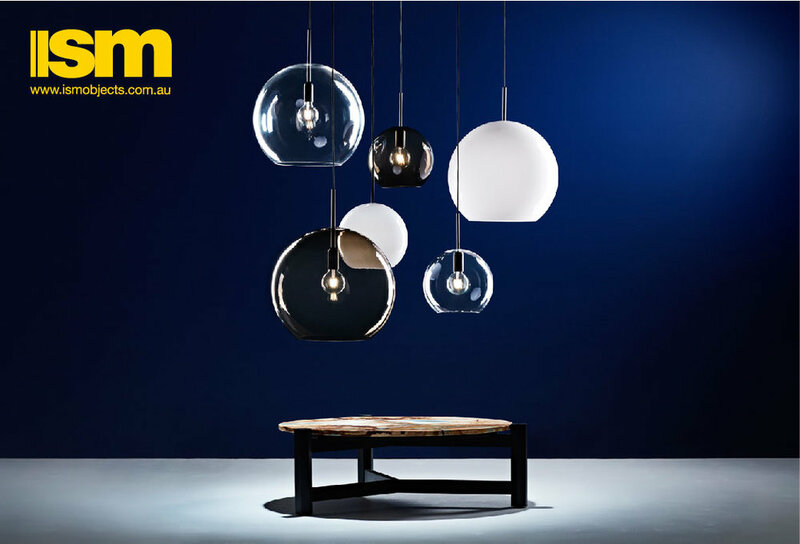 It is therefore quite exciting when a new product range comes along by an Australian company like Space Furniture (who traditionally imports high end Italian furniture brands), that has been designed by an Australian and built for the Australian market. Okay, the SP01 indoor and outdoor ranges are all made in Italy but to manufacture many of these products would be impossible in Australia without huge investment in new equipment and expertise. Besides, in just about every region of the world the term Made in Italy has real value. The public believe in the quality of Italian made goods and when it comes to developing new products this sort of faith talks volumes and hopefully converts to healthy sales. 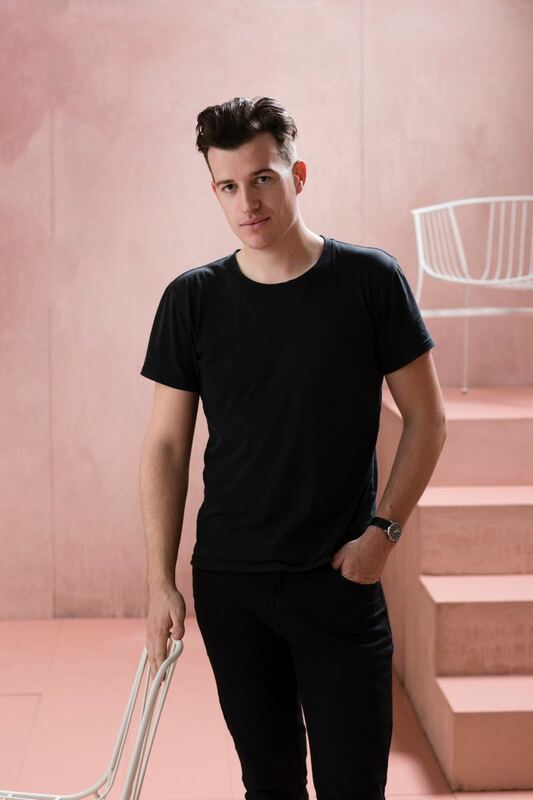 Tom Fereday is a young designer who has risen to the top of Australian furniture design in a relatively short space of time (you can take a look at an earlier Design daily post on Fereday's work here). Having studied at Sydney 's University of Technology he started his own studio in 2012 and apart from a number of self generated products he has been busy designing for small Australian brands such as DesignbyThem, Dessein and CDR Furniture. Unlike many Australian furniture designers his technical ability also translates to intricate electronic products for brands such as Røde Microphones and watch designs for Mister Wolf, In fact Fereday seems to be involved in so much that you wonder where he finds the time to also be involved in supporting emerging Australian design through platforms like The Tandem Project and Local Design, which he heads up with the designer Emma Elizabeth. The man must be a workaholic. 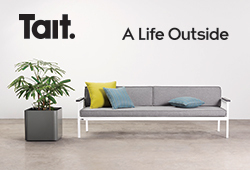 Not wanting to take up too much of his time, Design daily shot him a list of questions around his new SP01 outdoor collection for Space Furniture. Read on for on insight into its design and development. Photography by Jason Busch, styling by Matt Lorrain. The 'Jeanette' chair in green with and without seat cushion and the circular version of the 'Eileen' table with HPL top. Both designed by Tom Fereday for the SP01 outdoor collection. Photography by Jason Busch. D.d: I wasn’t aware you were working on a collection for Space - how long ago did you start talking with them about the potential for an outdoor range and how did it come about? TF: I was introduced to working with Space Furniture in one of the most surreal moments of my career. After receiving the Space + Moooi 2014 Design Residency I worked with Moooi in the Netherlands for 3 months. During this time Casper Vissers, the co-founder of Moooi mentored me. We discussed my design process, goals and aspirations and he later recommended me to Space Furniture as someone to potentially collaborate with in the future. I am incredibly indebted to Casper for his interest in my work and to Space Furniture for providing the opportunity to work with Moooi in the first place. The 'Jeanette' chairs and long version of the 'Eileen' table with natural Accoya wood top. Both designed by Tom Fereday for the SP01 outdoor collection. Photography by Jason Busch. D.d: From the early sketches to final versions how long has SP01 outdoor been in development? TF: All up the process has taken close to 2 years from preliminary concept all the way through to first production runs and product. It was a fantastic experience to work alongside the team at Space for this time. D.d: How many prototypes did you undertake and were they done in Australia or in Italy? TF: Every prototype from early mock-up models to final production tooling was done in Italy. The product went through around 4 major prototype to production rounds from which we refined and perfected the pieces whilst simultaneously sourcing the most appropriate manufacturers and supply chain. Fereday with his 'Chee' chair showing its lovely seat pattern. Photography by Jason Busch. D.d: What was the thinking behind the use of bent steel rod and were you influenced by anything / anyone in particular? 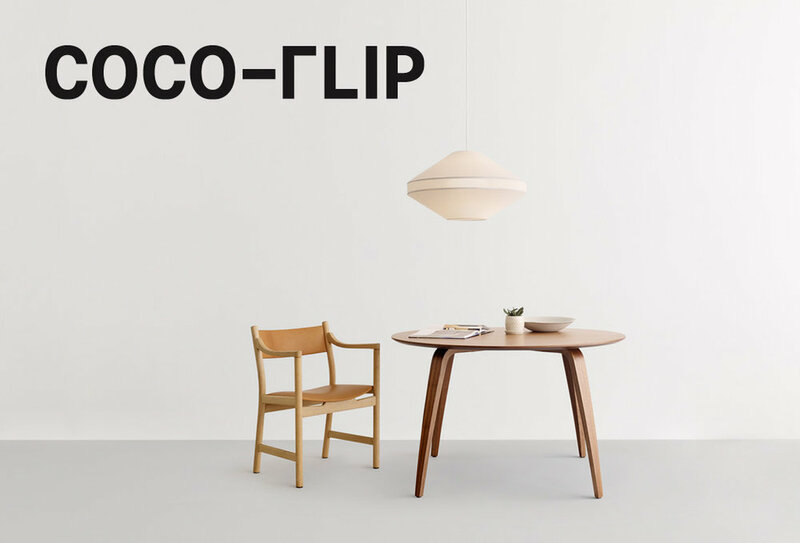 TF: From the very outset there was a very clear attempt to develop an outdoor collection that could be refined enough to sit comfortably in both indoor and outdoor settings - an often blurred area in Australia. 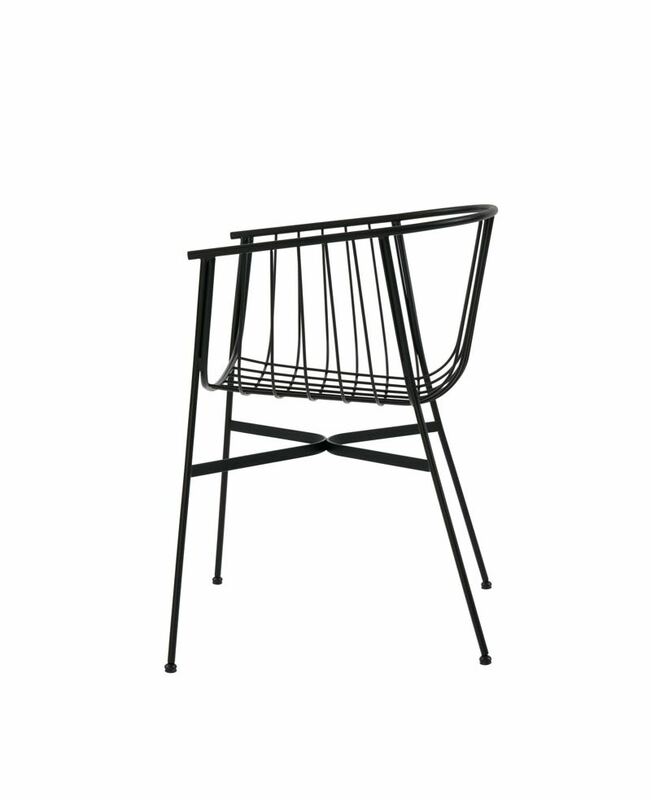 For me the use of intricate bent wire particularly in the seating collection allowed for a minimal and yet highly refined product. With wire bending every element of the furniture pieces are revealed through an intricate silhouette and allowed for a very pure and honest expression. The 'Parisi' table, 'Chee' barstool and chair (with and without arms) Photography by Jason Busch. D.d: What was the process like dealing with Italy long distance in regards to the detailing and quality control of the finished product? TF: The project involved multiple trips to Italy and these opened my eyes to how Italian manufacturing operates. By developing intricate 3D CAD models we were able to communicate clearly the design intent from overseas, however nothing could replace physical on-site development. Through the launch of the SP01 indoor collection that premiered earlier this year, Space collaborated with the fantastic company Metrica. They were able to provide invaluable guidance and support from Italy and make the whole process surprisingly streamlined. The 'Jeanette' chairs and long version of the 'Eileen' table with HPL top. Both designed by Tom Fereday for the SP01 outdoor collection. Photography by Jason Busch. D.d: Does the collection involve any special materials or go through any particular processes to make it more suitable for Australia's harsh climate? TF: Each piece unless produced from stainless steel goes through three protective stages to add as much longevity as possible. The metal pieces are first dipped in hot nickel, followed by Cataphoresis (e-coat, a cross between elctro-plating and painting that improves the bond between metal and paint). Then finally they are powder coated in a commercially graded textured finish. Accoya wood is used for the slatted timber tops in the collection as it is an extremely resilient, non toxic modified wood that absorbs 80% less water and because of this is extremely stable and highly resistant to rot. It's also Forest Stewardship Council (FSC) certified which is another important environmental plus. Our other table tops use High Pressure Laminate (HPL), which is a material that has UV inhibitors and is highly suitable for outdoor use. D.d: How did you arrive at the colours for the collection? TF: The colour palette was driven by Matt Lorrain, head of design + product development at SP01. I worked closely with Matt to create the collection. We attempted to select a colour palette that was both timeless and unisex in appeal, focusing on softer shades over the primary colours that are more commonly used. 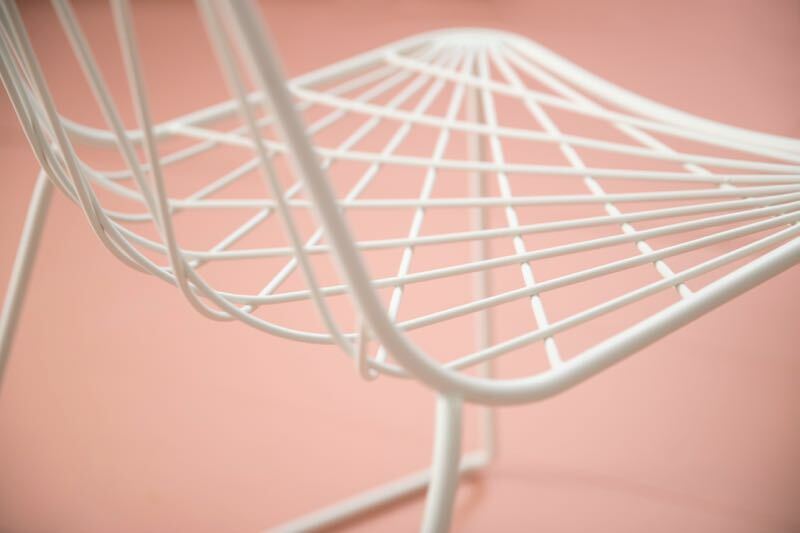 We've also gone to the trouble of custom moulding our own low profile seat cushions that tie in with the frame colours without destroying the minimal look of the chairs. 'Chee' chairs with and without arms and high 'Chee' barstool by Tom Fereday for the SP01 outdoor collection. The barstool comes in 2 heights. Photography by Jason Busch. D.d: The pricing seems very reasonable, was this a conscious thing when designing the range? TF: One of the huge benefits of working with a company like Space Furniture was that product could be produced on batch and not made to order. This allowed for a greater competitive price point without compromising on quality. The 'Parisi' table in black with a Nero Marquina black marble top designed by Tom Fereday for the SP01 outdoor collection. Photography by Jason Busch. D.d: Will there be more Tom Fereday products being released by Space Furniture in the near future? 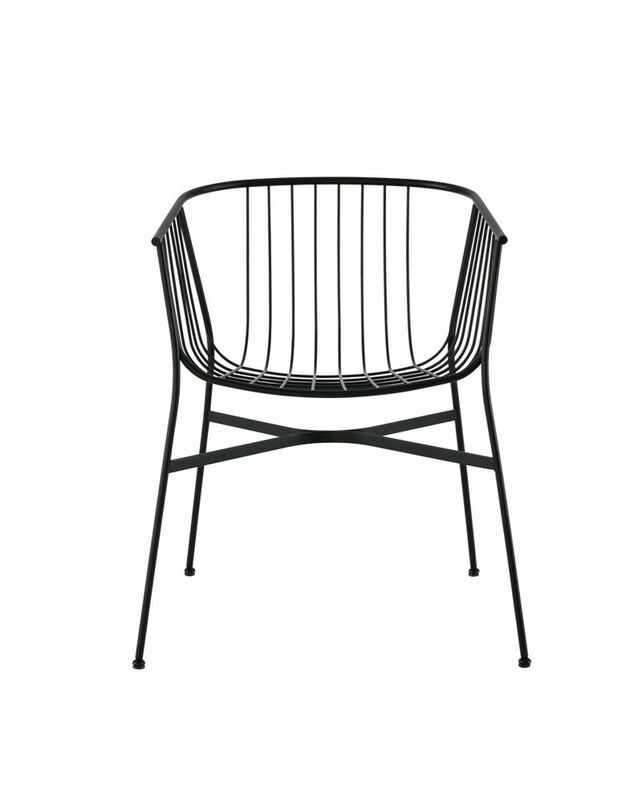 TF: We will be working on some product extension pieces for the outdoor collection and I hope to work with them (as I do with all my clients) for a long time to come. The 'Eileen' table with Accoya wood slatted top by Tom Fereday for the SP01 outdoor collection. D.d: It seems that Australian importers are finally realising the value of Australian design talent - Cult supporting Adam Goodrum, Space commissioning you to design a collection for them.......Why do you think it has taken so long for companies to not only acknowledge Australian design talent but actually back it financially? 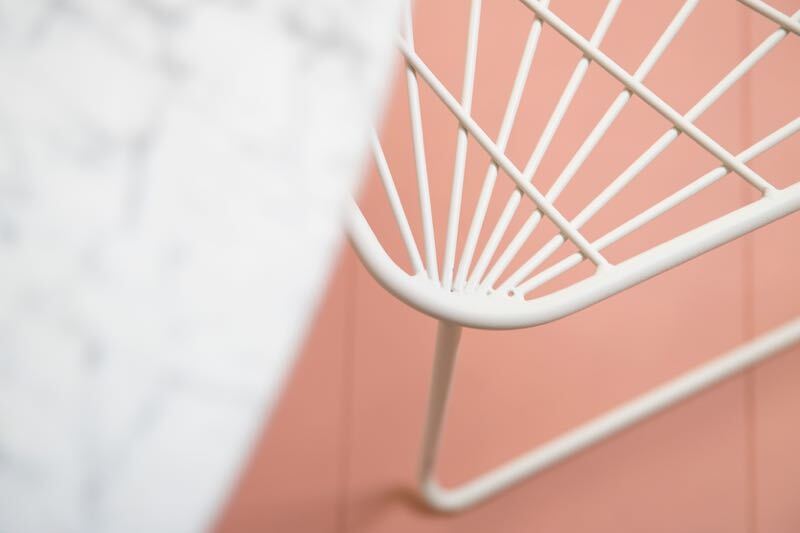 TF: I think the desire to support Australian design within Australia has always been quite strong, however the market perhaps hasn’t always been there to sustain it. 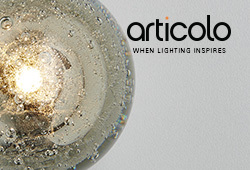 This has changed dramatically in even the last 5 years and has seen a flourishing of new designers and suppliers alike. 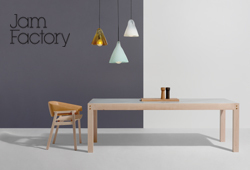 Many companies, including Space Furniture, have supported Australian designers have been strong supporters for many years through initiatives such as their residency programme. It is nice now that they can take this relationship one step further with SP01 and promote designers not just within Australia but internationally and I am thrilled to be a part of it. You can look at the work of Tom Fereday in more detail here. The entire SP01 collection can be viewed here.